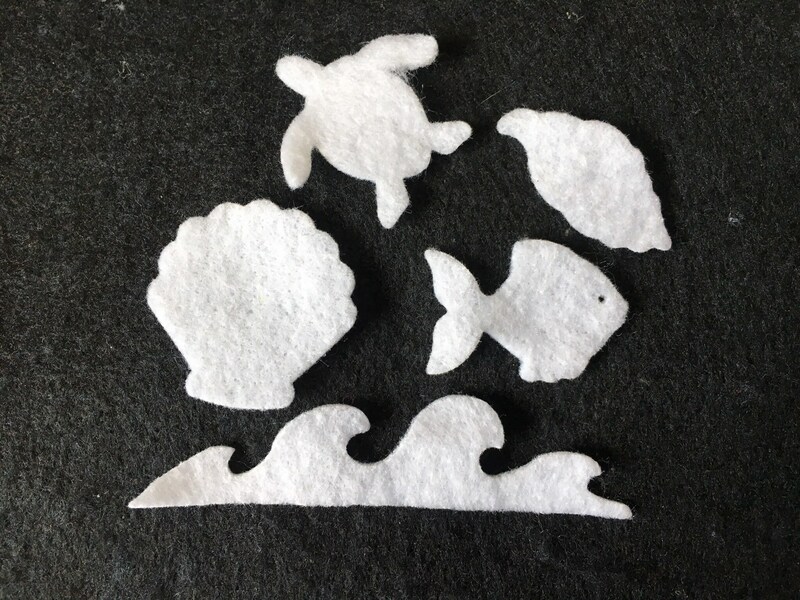 Mermaid Cove Themed Mini Felt Shapes are perfect for dipping into seasonal scented waxes. 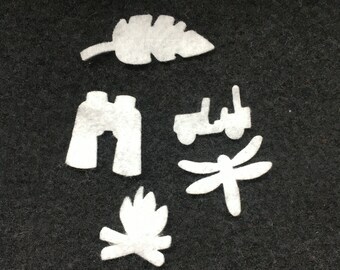 For a great instructional video, click the link to watch my friend Spice Dawn "double and triple" dip felt shapes. 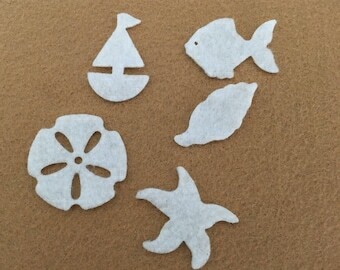 Included in this package are 50 white Mermaid Cove Friends shapes. Fish measures approx. 1-1/2" x 1-1/16"
Shell measures approx. 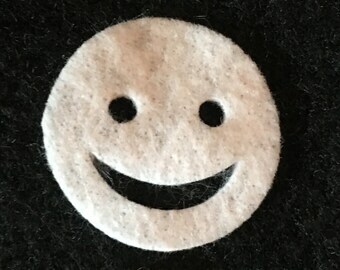 7/8" x 1-7/16"